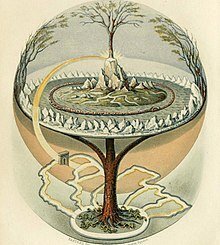 In Norse releegion, Asgard (Auld Norse: Ásgarðr; "Enclosur o the Æsir") is ane o the Nine Warlds an hame tae the Æsir tribe o gods. ↑ Lindow, John (2002) [First published 2001, bi ABC-CLIO]. Norse Mythology: A Guide to Gods, Heroes, Rituals, and Beliefs. Oxford/New York: Oxford University Press. ISBN 0-19-515382-0. This page wis last eeditit on 7 Apryle 2018, at 06:57.